The UFC brings all the world’s best mixed martial artists together into a single octagon, but the organization’s broadcasts are hardly global. Broadcast rights are doled out to local TV channels and streaming websites in countries outside of the US. 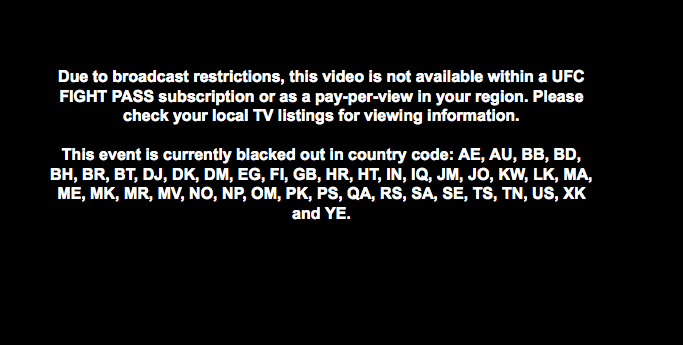 As a result, some fights might be blacked out in certain countries. Fans who pay $10 per month for a Fight Pass subscription might be surprised to find out that they don’t necessarily have access to every live fight. The same goes for pay-per-view viewers. Blackout restrictions can vary from fight to fight and are tucked away in the fine print. That means you’ll have to find your country’s local rights holder, sign up, and pay for the fight (again). These local providers often grant a lesser experience than UFC.tv, such as a poor user interface or worse video quality. In France, for example, there’s Kombat, while in Germany there’s Ranfighting. Never heard of them? Neither have we. Another problem with third-party broadcasters is they don’t allow users to watch replays on demand. A fight taking place in the evening in the United States may not start until 5 a.m. in Europe, which isn’t exactly prime time. UFC.tv allows subscribers to watch replays at their leisure, but local rights holders rarely have this option. If ordering a pay-per-view fight that you’ve already paid for from a company you’ve never heard of (and possibly in a language you don’t understand) doesn’t appeal to you, we have a better solution. A VPN or smart DNS provider can trick the UFC.tv website into thinking you’re located in the US, thereby bypassing the blackout. These tools act as proxies through which some or all of your internet traffic is re-routed, assigning you a new IP address and spoofing your device’s location. We recommend using a paid service to avail of speeds fast and reliable enough to stream live video. It’s not free, but it’s almost definitely cheaper than ordering the fight on pay-per-view. A few VPNs, such as ExpressVPN, have money-back guarantees in case you want your money back after fight night ends. In addition to the money-back guarantee Express VPN currently has 3 months extra free with 12 month plans. Select a server in the United States or anywhere else the fight is not blacked out. Geographically closer servers will be faster. Connect to the server and wait for the connection to be established. Load the UFC.tv website or app, log in with your Fight Pass credentials, and start watching! Sign up for a smart DNS subscription, Overplay works well. Log into UFC.tv with your Fight Pass credentials and start watching! The process works for live streaming pay-per-view fights as well, though you might have to choose a server location in the same place as the pay-per-view provider. Generally speaking, VPNs are simpler to set up, but smart DNS proxies work on a wider range of devices. Alternatively, you can opt for watching UFC on Kodi, although be sure to check legality of the content you stream. Many Kodi stream are unofficial and breach copyright laws. 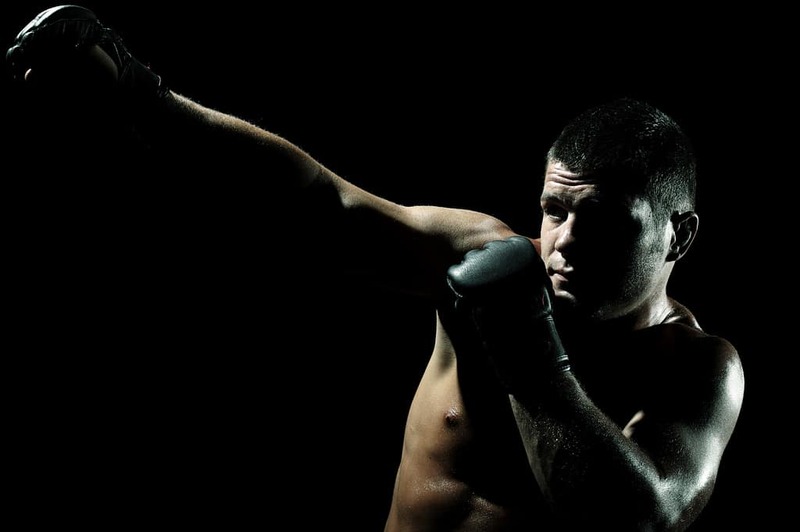 Why does the UFC black out fights? To put it simply: greed. The UFC can make more money by licensing out content to other providers, who resell the same broadcast, than by selling individual Fight Pass subscriptions and pay-per-view orders. Fracturing the market among these providers is more profitable for the UFC, but worse for the consumer. When the UFC signs over the broadcast rights to a broadcaster in another country, it agrees that it won’t double dip. That is, it won’t compete with the broadcaster it just sold the rights to. Thus, blackouts are the solution. If it wanted, the UFC could refrain from geographic content licensing and simply keep all of its streams and broadcasts under one in-house umbrella. This is how the WWE, which uses a similar model, is available in almost every country at the same price with no blackout restrictions.